In the cracks that sprawl between electronic and analog music, visual art, and craft creation, Yamila dances on the edge of sound and conceptual heights. The Spanish composer, cellist, singer and producer is based between Belgium, Holland and Spain. In recent years Yamila has created music for contemporary dance productions in places such as The Gothenburg Opera, Netherlands Dans Theater, and Dance Forum Taipei, among others. Her projects have been presented at festivals such as Sonic Acts Festival (Amsterdam), Arts Electronica (Linz), Seoul International Computer Music Festival, STRP Festival (Eindhoven), and Today's Art festival (The Hague) to name a few. 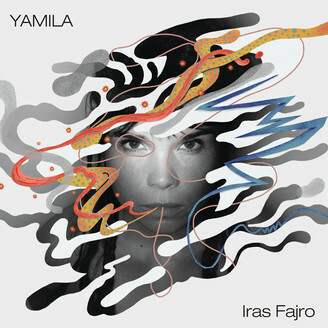 With 'Iras Fajro' (Forbidden Colours), her debut album, Yamila, summons in 11 songs with the strength of electronic sounds in front of a fragile voice that at times unfolds in small coral clusters. The brilliant electronic arpeggios and rhythms dissolve in the velvety voices of the cello, which are sometimes intertwined with the creations of two collaborators, the British producer and composer Clark (Warp) and the multifaceted ex- flamenco Niño de Elche (Sony).